The tradition of wine-making goes back thousands of years. In fact, the earliest historical evidence of wine production points all the way back to about the year 5000 B.C. NEMO® Progressing Cavity Pumps have been proving their worth for decades across all aspects of the wine production process by means of their application versatility and their ability to gently convey a great variety of media such as wine, grape juice, mash, must, yeast and marc. It has been over 10,000 years since humankind first began to cultivate grains. To begin with, it was discovered that grain could be ground, mixed with water and eaten as mush. Later, people found that this mush could be dried  in essence, baked  on hot stones. Cosmetics go back as far as humankind. Findings have shown that women have painted and decorated their faces with color since primitive times. A pathbreaking role in cosmetics, bodily cleanliness and hygiene can be attributed to the ancient Egyptians. The versatile application possibilities for NEMO® Pumps have made them indispensable in the cosmetic industry. Around 6000 years have passed since human beings first began the practice of milk production. Today, milk and dairy products have come to play such an important role in our day-to-day dietary habits that it is impossible to imagine what our lives would be like without them. Our NEMO® Progressing Cavity Pumps are able to gently convey media of high viscosity or with solid content, almost pulsation-free. Fruits and vegetables have been an important constituent of daily nourishment ever since the era of our hunting and gathering ancestors. During those times, however, no type of systematic cultivation yet existed. NEMO® Progressing Cavity Pumps have been confronted with new challenges time and again as the palette of media to be conveyed undergoes continuous change due to a constant flow of new products on the market. NETZSCH Progressing Cavity Pumps have been used successfully in the extraction of crude oil for years. In upstream applications, borehole pumps are used, which are perfectly suited for API grades under 21. 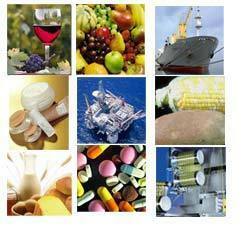 The use of starch is required in many industries, such as in foods, paper, textiles and adhesives. In the higher latitudes, potatoes and grains are the primary source of starch. It is extracted by rinsing out the plant parts with a saline solution. NEMO® Progressing Cavity Pumps have been proving themselves for decades in a great variety of production steps with substances that are often very difficult to convey. For the manufacture of textiles, a great variety of different chemicals are used which require very high dosing precision. The capabilities of NEMO Pumps® in this regard are the reason they are so often employed in the textile industry.